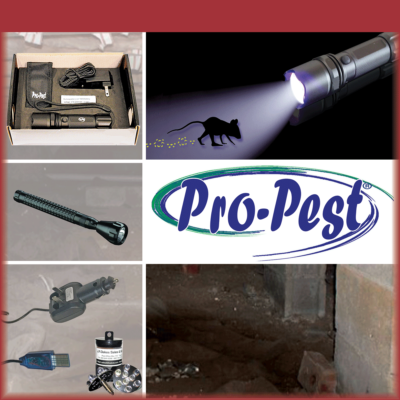 In the service industry, especially the professional pest control industry, quality tools can determine success. The flashlight is one of those tools that in found with every PCO and on every service truck in the nation. That is why JF Oakes currently offers what we believe is the ultimate UV LED flashlight. Our LED UV Rechargeable Flashlight is physically smaller but more powerful illumination than ever… Use it to locate rodent habitats, rodent urine, and more. Whether you need a flashlight for an attic or crawl space or one for tracking rodents or spotting scorpions, we’ve got powerful LED Flashlights to help! 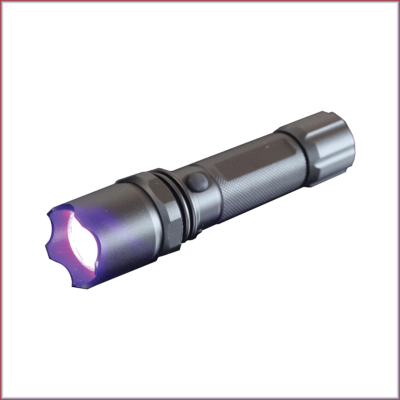 LED Flashlights utilize the latest technology to transmit light: Light Emitting Diodes. There are many advantages of LEDs Flashlights. Light quality is better, brighter than standard incandescent flashlights. They are energy efficient using less battery life than standard flashlights do.